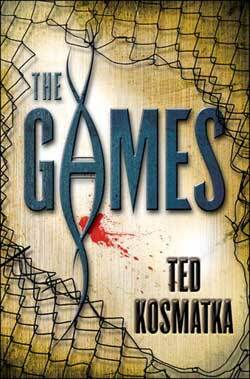 The Games, Ted Kosmatka's first novel, is best described as a mash-up of genetic engineering meets UFC fight night. Kosmatka has a biology background, so I'm going to assume he knows his science, although I wouldn't know if he was faking it. It's the apparent veracity of Kosmatka's scientific speculations that take the book from science fantasy to the realm of science fiction. In The Games, Kosmatka posits a future in which the Olympic games now have a gladiatorial component. Countries vie for scientific supremacy and bragging rights by pitting genetically engineered gladiators (no human DNA allowed) against each other in arena showdowns. Enter Evan, a genius who colludes with the supercomputer he invented to create the genetic design for the United States' newest gladiator. Geneticist Silas Williams and xenobiologist Vidonia Joao are charged with raising it and getting it ready for the games. But the creature isn't like anything they've seen before, and they suspect it is more dangerous than anyone can imagine. Their misgivings are overruled by Stephen Baskov, chair of the Olympic Commission, who main concern is that of all corporate men: money. The gladiator ends up in the arena and, just as Silas and Vidonia predicted, Bad Things Happen. I found The Games to be a quick and somewhat superficial read, a book that could have explored the more nuanced philosophical ramifications of unrestricted genetic engineering. The idea that such a wonderous and advanced tool is used to create arena fighters seems shallow. But then again, corporate greed knows no bounds, and Baskov could easily stand in for almost any modern day CEO who exploits knowledge for cold, hard cash. Silas and Vidonia are the most well-developed characters, although they are predictable in their relationship. At the root of all this is Evan and the machine "Brannin" he created, but they don't get much more than a surface look. Too bad, because it's an interesting take on machine intelligence that would have been worthy of a much deeper examination. I feel as though Evan was given short shrift, as he's presented as your typical socially crippled and bullied overweight genius. The monster is worth a mention, as its development and purpose ends up being a slow reveal that builds well. That the characters ignore its obvious and developing intelligence felt contrived, and their inability to clearly see just how bad everything is going to get almost smack of contrivance. Still, we, the readers, end up with a well-realized and diabolical presence, a modern day Frankenstein that lusts for destruction, and not only that of its creator. 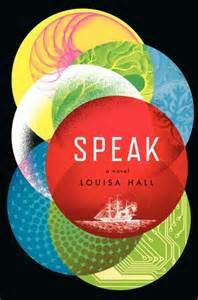 The end result is a quick, enjoyable, yet somewhat shallow novel that mimics a summer blockbuster -- well-crafted, well-paced, full of style, rife with big ideas, but ultimately short on substance.